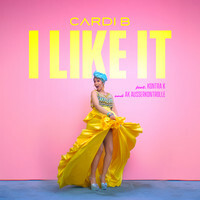 7digital What we said: Bronx stripper-turned-rapper Cardi B sometimes seems entirely powered by brazen attitude. 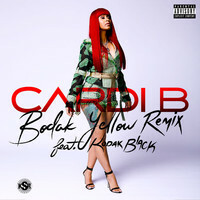 Certainly, she hasn’t shied away from assuming the glittering role of stardom and shutting down the haters since last year’s breakthrough trap hit ‘Bodak Yellow’. The Gangsta B*tch Music tapes and her huge features with Bruno Mars and Migos showed off her brash, braggadocio lyrics, doused in unapologetic sexuality. Couple those bars with her astounding, tongue-twisting delivery and it isn't difficult to see why she's been compared to Lil’ Kim and Foxy Brown, nor why she now boasts famous fans like Janet Jackson. 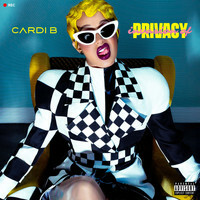 But the gentle bossa nova vulnerability of ‘Be Careful’ shows that Cardi is more versatile than expected, and her highly-anticipated debut looks set to counter paparazzi intrusiveness in being as revealing and personal as it is banging. 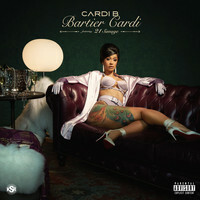 On this first full-length, Cardi ascends to the throne as rap’s current queen with seemingly effortless ease.